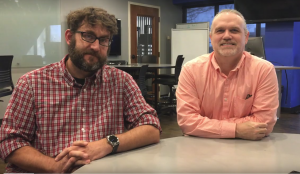 One of the classes offered in the School of Information Technology and Computing is called CS 330: Human-Computer Interaction, a subject that has sparked much interest because of the intriguing and applicable content. Human-Computer Interaction is a combination of computer science, digital media, psychology, and neuroscience. Dr. James Prather, the professor for the class, sums it up by saying, “It’s about understanding how humans perceive and interact with the world and using that knowledge to make better and more natural user interfaces for our technology.” Although there are two upper-level electives on this topic, HCI 1 and HCI 2, many students end up wanting to learn more about the subject and further their training. Thus, an ACU SIGCHI chapter was born. SIGCHI stands for “Special Interest Group in Human-Computer Interaction” and has more than forty active local chapters across six continents, to promote local support networks for HCI professionals. The ACU club is a chapter of ACM SIGCHI which is the major guild for both students, instructors, and professionals interested in the subject of Human-Computer Interaction. 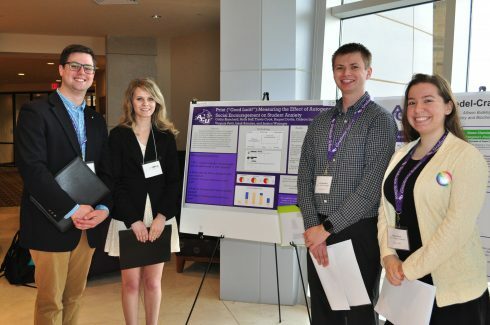 Once the chapter was established, the students elected officers and started working on a research project to submit at the annual SIGCHI conference, this year taking place in Montreal, Canada. 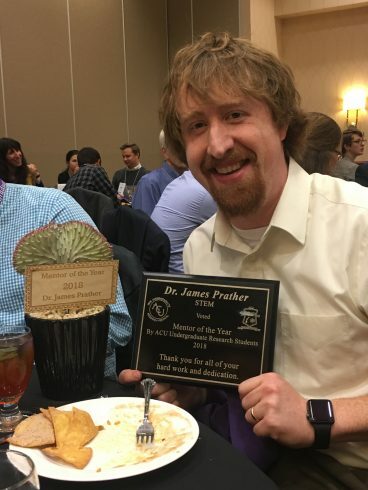 Dr. Prather is the club’s faculty sponsor and research mentor. After this great success the students are planning to go to CHI 2018, the premiere international conference of Human-Computer Interaction which will be held in Montreal, Canada, in order to present their work and try to win the student research competition. 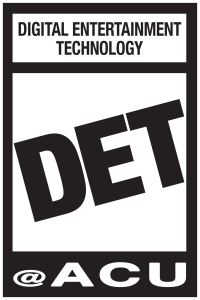 This conference is a place where all those researching or working within the field of HCI gather and discuss the latest in interactive technology which includes not only social media, but aspects such as virtual reality, augmented reality, usable security, interaction and play, and even medical technology. This is not only a fantastic academic opportunity for our ACU SIGCHI students but a wonderful professional opportunity as well, as students will be able to put this conference on their resume, impressing grad schools and employers alike. 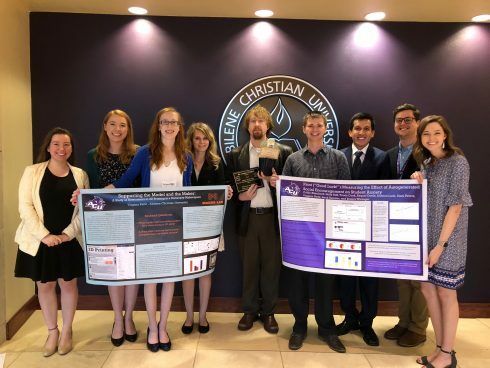 This is also a great reflection on the kinds of opportunities students can expect to have at ACU’s School of Information Technology and Computing, including faculty mentorship, undergraduate research, and presenting research at premier international conferences. The most recent student to enter into an ACM undergraduate research competition was Kayla (Holcomb ’17) McMurry, who won first place in 2016. The students in the SIGCHI group going to Montreal are: Collin Blanchard, Holly Buff, Travis Cook, Raquel Dottle, Gideon Luck, Alani Peters, Virginia Pettit, Isaak Ramirez, and Jessica Wininger. If you would like to make a donation to SIGCHI Research, please go to this link, choose “Other” as your designation and write in “SITC SIGCHI”. Keep reading future blogs to learn how our group does in April.